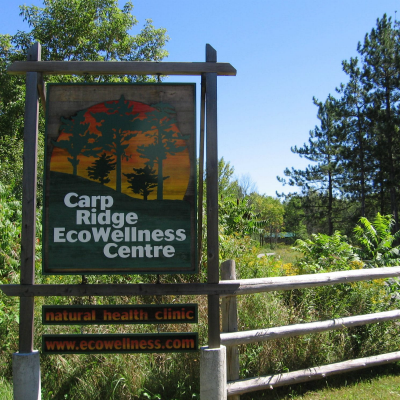 Conveniently located just 45 minutes from Ottawa International Airport, Carp Ridge EcoWellness Centre exemplifies the vision of a forest wellness center. ​Directed by Dr. Katherine Willow, N.D.,the Centre is a hub for a vibrant community of health and wellness practitioners. 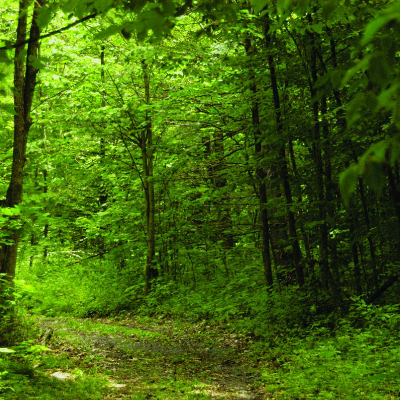 In addition to our acclaimed Forest Therapy Guide Training Program, participants will have the option to book and participate in additional wellness services, such as massage, reiki, yoga, meditation, and more (note: these services available by private arrangement, not included in tuition or lodging). 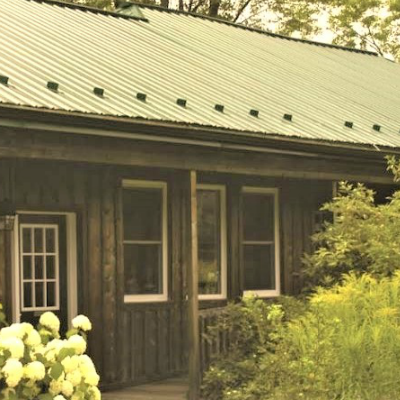 Carp Ridge EcoWellness Center is set on 196 acres of land that includes forest, wetlands, the rocky Carp Ridge, a pond, and mowed lawns for leisure activities. 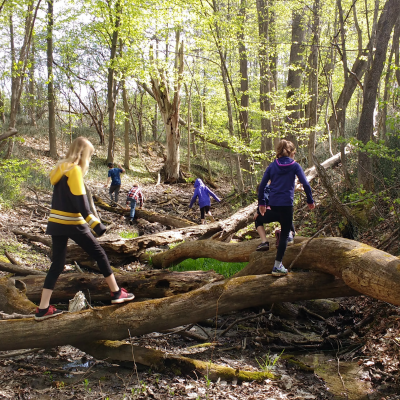 Trails marked with blue and yellow triangles weave through the forest, offering you several kilometres of walks. Proximity of the woodland to the B&B means you can take regular dips into the natural world, which will suffuse you with the smells of earth, the sounds of birds and insects, and the serenity of this beautiful land. 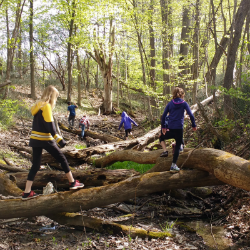 In the Spring, pick wild blueberries, catch frogs, or walk alongside the creek!